"With New Super Mario Bros. Wii ... we’ve had some battles over the story elements. 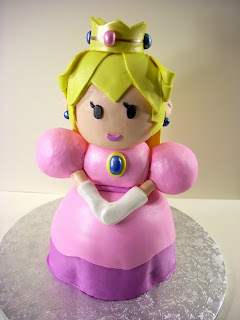 They always want to have these dramatic scenes where Princess Peach gets kidnapped, but I always tell them, no, it’s fine — Princess Peach likes cake, so you can just have them use cake as bait to kidnap Princess Peach, and that’s enough. I was thinking they could have these big ships come in, and they’ve got these big chains all over them, and they drop a plate down with cake on it (laughs)."